Candace R.M. Gorham is a licensed professional counselor with a background in middle and high school education. A former evangelical minister, she founded the Ebony Exodus Project to explore the reasons record numbers of black women were leaving the church and in 2013 published The Ebony Exodus Project: Why Some Black Women Are Walking Out on Religion and Others Should Too. 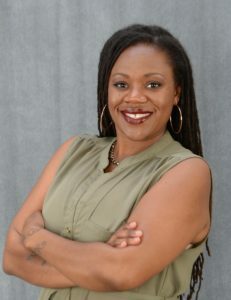 She is on the advisory council of the Black Humanist Alliance of the American Humanist Association and is a member of the Secular Therapist Project and the Clergy Project. She currently lives in Durham, North Carolina, with her fourteen-year-old daughter.